Back by popular demand, CKI is bringing back our successful event, Arthouse Unplugged. 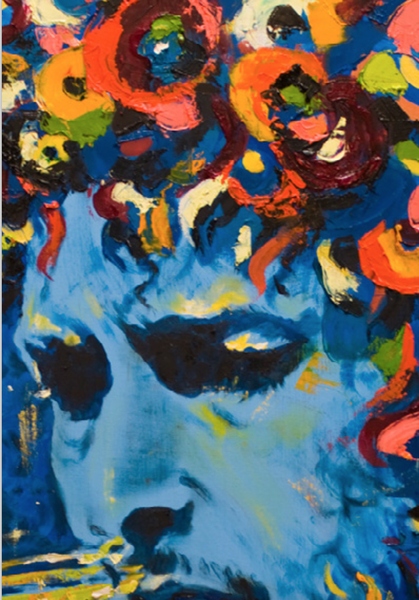 In partnership with FunRaising Events, we are bringing you two fabulous Bobby D. auction items with proceeds benefiting Hong Kong Generation Next Arts. Who better to serenade you than the songwriter himself? Well, almost! CKI’s unparalleled house band will be playing songs by Bob Dylan, The Band, and other folk legends of the like. Come get “tangled up in blue” while we “play a song for” you. We can guarantee you’ll leave feeling “like a rollin stone”! 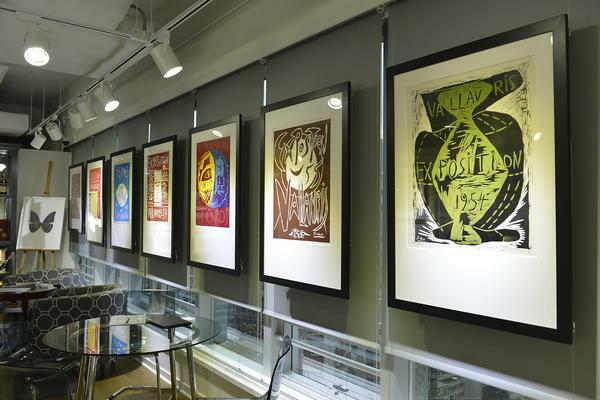 Our tour begins with a selection of Lithographs created by Picasso between 1947 and 1961. He worked extensively with the Parisian printer and publisher Fernand Mourlot creating most of his Lithographs with Mourlot. You will often see his Lithographic images referenced as Mourlot followed by a number or just M followed by a number – this is the Catalogue Raisonne number given to these works by Fernand Mourlot which would detail the work in full, thereby helping to establish a particular work as a Picasso original. You will also notice two other references in your exhibition guide as we view the works. Bloch – this is George Bloch…. and Baer – which is Brigitte Baer. Both Bloch and Baer catalogued Picasso’s Graphic works creating a precise historical record of all his graphic works. Probably the most important thing to understand about Picasso is that he was a supreme draughtsman - but over the years he experimented in many different forms and his creative process became one of deconstruction - producing richness of line colour and texture. The rise of fine art as an asset class has been driven by the globalisation of the market and the availability of up to the minute research and investment data. The CKI Philosophy CKI adhere to a simple philosophy; “the more knowledge our customers have about their investment, the better their overall investment experience”, everything we say to our customers is designed to increase their overall understanding of our area of expertise resulting in them, having the confidence and trust to pursue their art investments through CKI, as a true passion. CKI focus on the most affordable and liquid art market sector, where volume is high and historic investment growth is documented. We specialise exclusively in the ‘Works on Paper’ of the Masters of fine art, household names such as Pablo Picasso, Edvard Munch, Andy Warhol, Joan Miro and many more. Excellent provenance is the cornerstone of our business and wherever possible, we supply works of unassailable provenance. 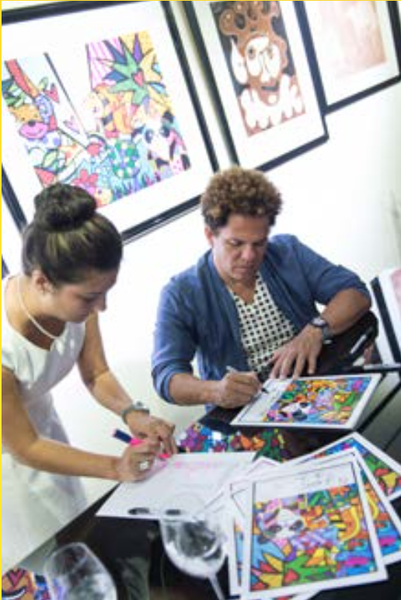 Britto brings his vitality to everything and this event was no exception. His enthusiasts gathered in our Soho space for cocktails and conversations for an evening we will never forget. Romero’s warm demeanor created approachability like no other inviting guests for photos and anecdotes for which he was more than happy to oblige. 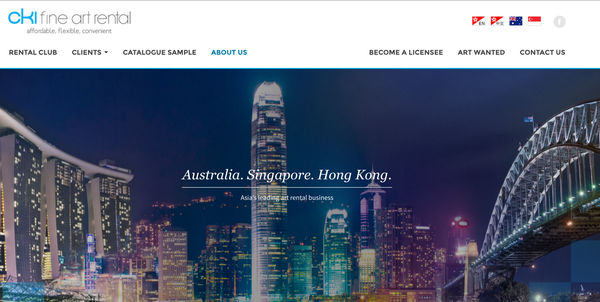 Attendees consisted mainly of patrons who invested in his Asia Pacific Suite, which was available exclusively through CKI. The sold out suite depicts Asian landmarks and his signature vibrancy providing a platform for Britto to access his Asian enthusiasts. 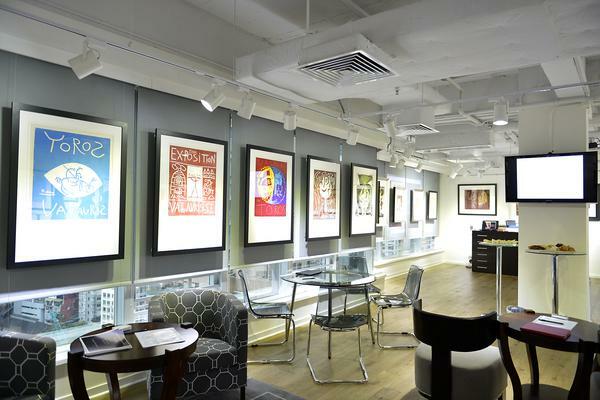 Why Corporates Rent Art A desirable and impressive art collection will strengthen the corporate image and inspire the workforce 1. First Impressions Do Count. 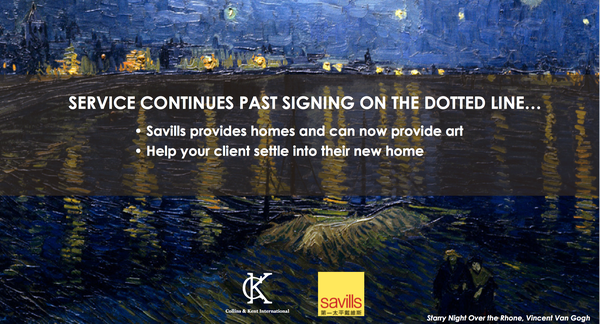 Promotion of the company’s achievements with an exciting art collection and impress its clients simultaneously. 2. To transform flat and dull wall spaces into inspiring focal points and points of conversation that show the Corporation means BUSINESS. 3. To save capital and stimulate its workforce. 4. 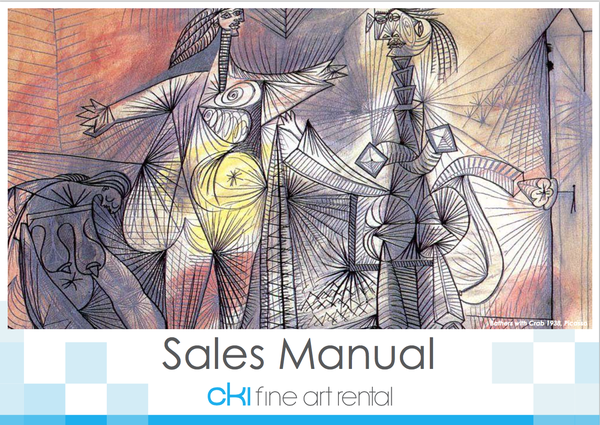 Renting a complete collection or a single artwork is often 100% tax deductible for businesses. 5. 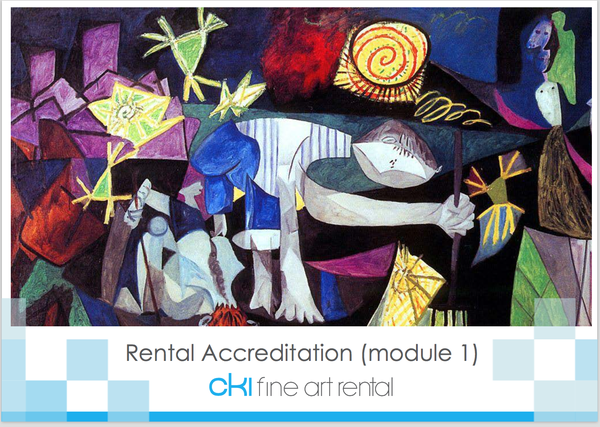 To save time and money with our CKI’s art rental consultancy services. 6. The ability to rotate the collections as our services are flexible, our monthly payments are extremely competitive and we can tailor a package to suit their needs. 7. CKI guarantees customer satisfaction. Our services are all inclusive and Collins & Kent International prides itself on product and customer service that is second to none.